By Abbey Klaassen and Abbey Klaassen . Published on October 05, 2005. 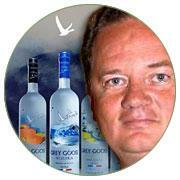 Why you need to know him: Mr. Darville is the force behind Grey Goose Vodka?s branded entertainment venture. The company launched Grey Goose Entertainment in April 2005 with the mission of producing original content for TV, music and film. Its first project, Iconoclasts, premieres Nov. 17 on cable channel Sundance Channel. Monsell Danville heads up Grey Goose Entertainment. Credentials: As group marketing manager for Bacardi USA, Mr. Darville has managed a portfolio that includes Disaronno, Bombay and Grey Goose, which Bacardi bought in August 2004 for a reported $2 billion. Managing premium brands has given him a broad perspective and appreciation for what people find entertaining and full of impact. ?I am certainly not interested in traditional anything,? he says. ?There are lots of people to do that.? What is Iconoclasts? 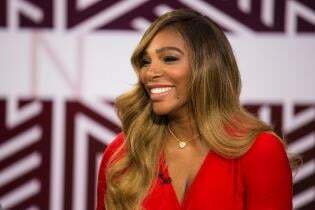 In the six-episode documentary series, various personalities are paired up, one to profile the other. In one, Robert Redford interviews Paul Newman. Others feature CNN?s Christiane Amanpour interviewed by actress Renee Zellweger; Samuel L. Jackson talking to basketball legend Bill Russell; artist Jeff Koons showing his New York studio to fashion designer Tom Ford; Viacom Chairman-CEO Sumner Redstone taking producer Brian Grazer on a shopping spree; and chef Mario Batali talking to R.E.M. 's Michael Stipe. Grey Goose Vodka will not be featured in the show, but will back series launch events. 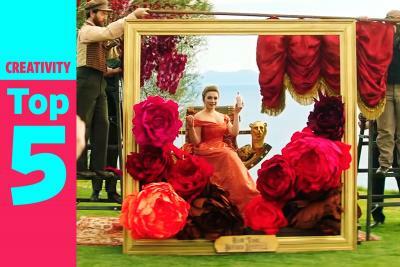 Since the Sundance Channel does not run commercials, Grey Goose spots will not surround the series. The show was produced by Sundance Channel and Grey Goose Entertainment, in association with Conde Nast Media Group. Mr. Redford, Embassy Row?s Michael Davies (Who Wants to Be a Millionaire) and @radical.media?s Jon Kamen and Greg Schultz serve as executive producers. How did Grey Goose Entertainment come to life? ?We were approached by Sundance Channel and Conde Nast Media Group to become a co-production partner on Sundance?s new series Iconoclasts. At that time we were looking to step away from the traditional and into the innovative. We also felt the need to give back to a great many individuals who support us so resolutely. We realized that not only by participating in this project, but also similar future projects, we could do both.? What kinds of projects might Grey Goose Entertainment be interested in producing? ?We look forward to investing in prestige projects in film, TV, music and sports that appeal to a discerning audience. Grey Goose Entertainment programming will embody the ?best of? all possible genres and strive to highlight the unique minds and talent in the world today.? Besides Iconoclasts, what else is in the works? ?We are reviewing a number of concepts, but it's too early to address anything yet. We are looking to work with partners/channels that will provide a platform to allow us to enrich, educate and entertain our audience while matching Grey Goose Entertainment?s brand concept of the ?best of.?? How does what Grey Goose Entertainment is producing compare to other companies? efforts in branded entertainment? ?All the others are really about product placement.? The branded entertainment play with Sundance's Iconoclasts is very subtle -- in fact, Grey Goose doesn?t appear at all within the show. What?s the reasoning behind this? ?We are trying to provide the Grey Goose consumer with a product that matches and enriches their lifestyle along with educating and entertaining them in a way we know they will appreciate. Iconoclasts delivers the type of content to make this vision a reality.? Can it be too subtle? ?Not in this particular case. We are not trying to promote the Grey Goose Vodka product itself. This is why there is no product placement at any point in the programming.? But you have a plethora of off-channel promotions that publicize Grey Goose Entertainment. What do they entail? ?Conde Nast Media Group produced a single-leaf insert that ran in the September issues of 13 Conde Nast publications, introducing the show and Robert Redford as executive producer, highlighting three initial talent pairings and promoting the first national sweepstakes and the co-production partners: Sundance and Grey Goose Entertainment. Conde Nast will also run in some its November and December issues an eight-page special advertising section promoting the show. It will be a portrait series shot by renowned photographer Mark Seliger highlighting the talent from each episode. Sundance, Grey Goose Entertainment and Conde Nast Media Group's online division will produce iconoclaststv.com, a dedicated Web site to promote the show, with featured talent bios and behind-the-scene footage. We?ll also produce advance screening events and receptions in 20 cities across the country leading up to the series premiere. There will be a gala in L.A., which Sundance will shoot. The event footage will be used on air as ?intro? and ?outro? segments for each of the series episodes.? What are the advantages to going beyond simple product integration and actually being an entertainment producer? ?The advantage is one of control. You can truly be your own master and not compromise at any step of the way, ensuring the programming coincides with the Grey Goose Entertainment vision.? How will you measure the success of your branded entertainment plays? ?Slowly, but with fanfare! First-mover status is always the path to a different place. 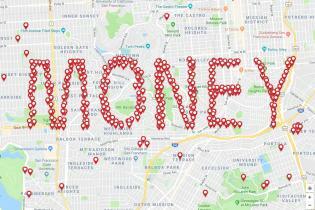 The true success of the project will be the impact it will have on the audience by giving them the programming a discerning viewer is looking for.? How do you take your Grey Goose Vodka? ?On the rocks with a lemon twist.? What Iconoclasts pairing are you most interested in seeing? ?Each is unique and like your children. You love them all, but differently.? Where do you call home? ?Pompano Beach, Fla.? Give us one more important detail about your life. ?My daughter Sarah is 14 and she's a difference maker.? 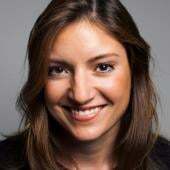 As of November 2014, Abbey Klaassen is Director, Corporate Development & Strategy, Americas, at Dentsu Aegis Network. Prior to that, she spent nearly 10 years at Advertising Age â€“ first as a reporter, then Digital Editor, then Editor, and then finally Associate Publisher, Editorial and Audience. 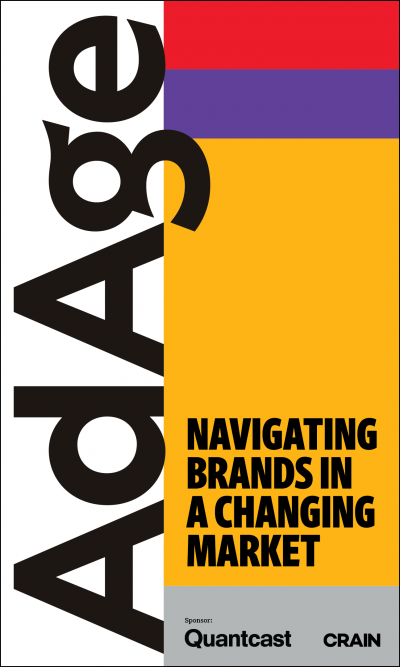 Under Abbeyâ€™s editorial leadership, Ad Age won three Jesse H. Neal National Business Journalism Awards and a SABEW Best in Business Award for general excellence.